One of my favorite restaurants in California is Nobu from chef Nobuyuki Matsuhisa. Imagine my delight when I walked into the Mandarin Oriental Munich and saw that the award-winning, celebrated chef extended his infamous restaurant, Matsuhisa, to the Bavarian capital! We were fortunate enough to obtain lunch reservations at the renowned Matsuhisa. Just a few years old, the menu features the New Style Japanese-Peruvian cuisine with emphasis on seafood, featuring signature dishes of Black Cod and Yellowfin Tuna Sashimi. From the moment we entered Matsuhisa, we felt welcomed as the hostess addressed us by name and promptly seated us. The modern and stylish decor of the restaurant is captivating in earth tones with natural materials such as leather, stone and wood. 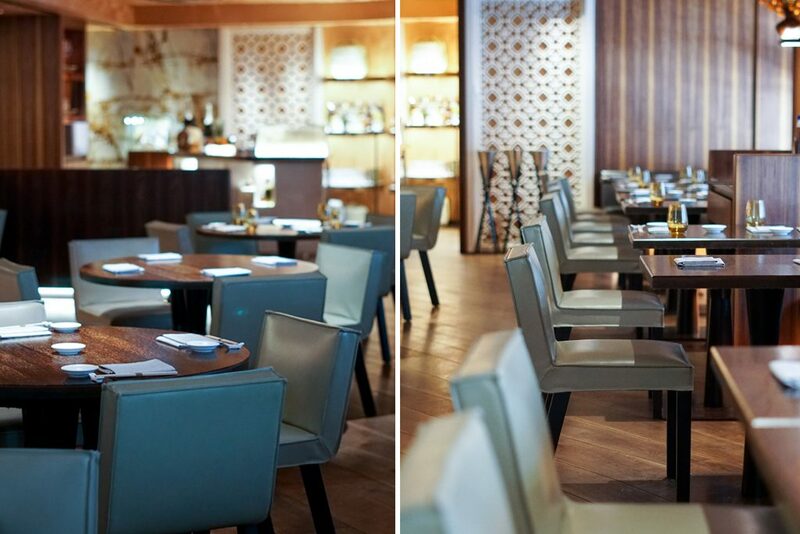 Asian elements drawn from Nobu’s five other restaurants also add to the welcoming dining experience. 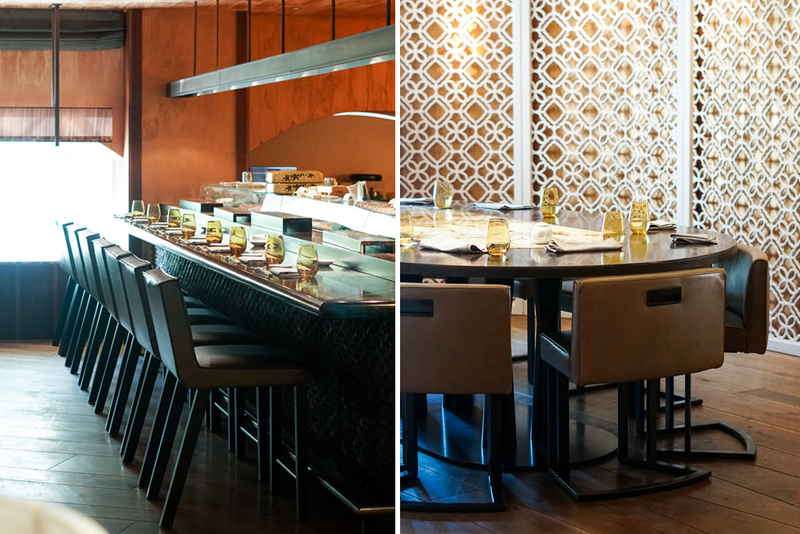 In addition to the contemporary and intimate seating arrangements, there is bar seating where you can sit up close and personal with the sushi chefs as they prepare your meal. For a more private setting, a beautiful circular area with a grand oval table and lattice surroundings offers a semi-private dining option. 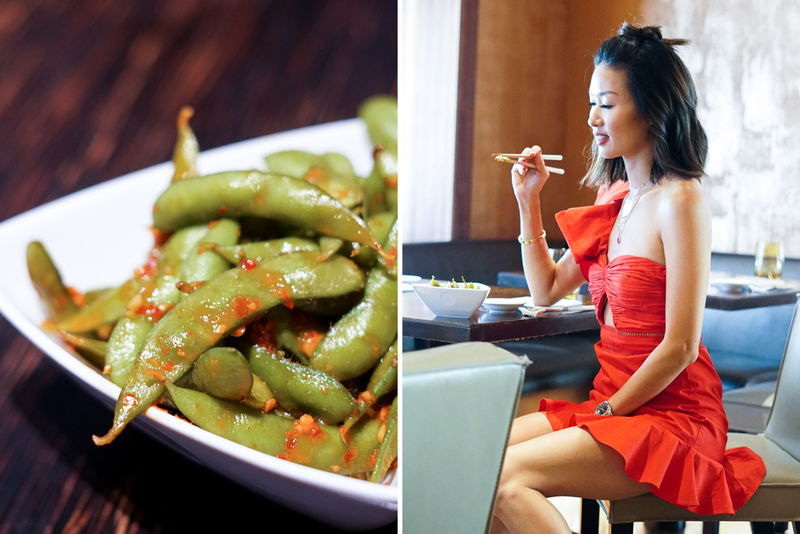 We started our meal off with Spicy Edamame for appetizer. It is one of my favorites and I was glad to see it included on the menu in Munich. Because I love tasting a little bit of everything, I opted for the Deluxe Bento Box lunch as my main entree which includes Toro Sashimi Karashi Su Miso, King Crab Tempura Jalapeño Dressing, Wagyu Steak Teriyaki, Scallop Spicy Garlic with Rice, and Assorted Sushi with Miso Soup. My husband ordered the same and my kids had the Chicken Udon and the Children’s Bento Box. 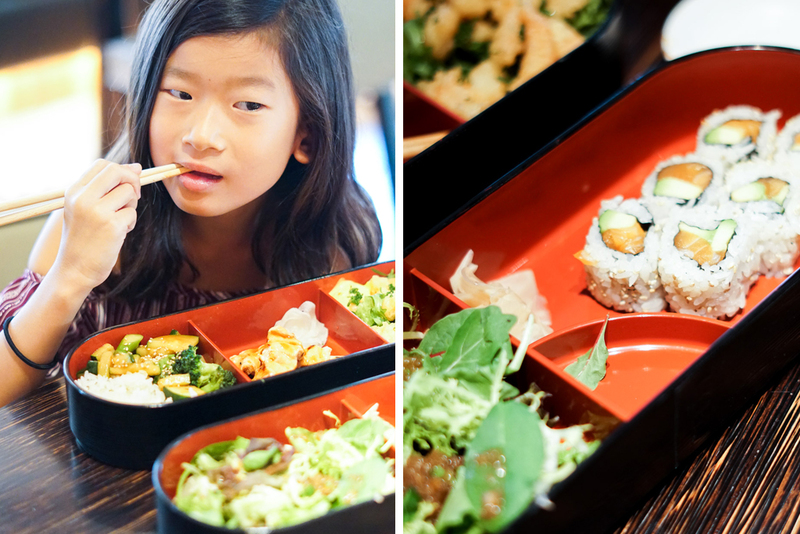 The Children’s Bento Box includes Tiger Shrimp Tempura, Chicken Kushiyaki, Mixed Vegetable Teriyaki Donburi, Field Green Salad with Matsuhisa Dressing, and Salmon and Avocado Roll with Miso Soup, a perfect combination for kids! 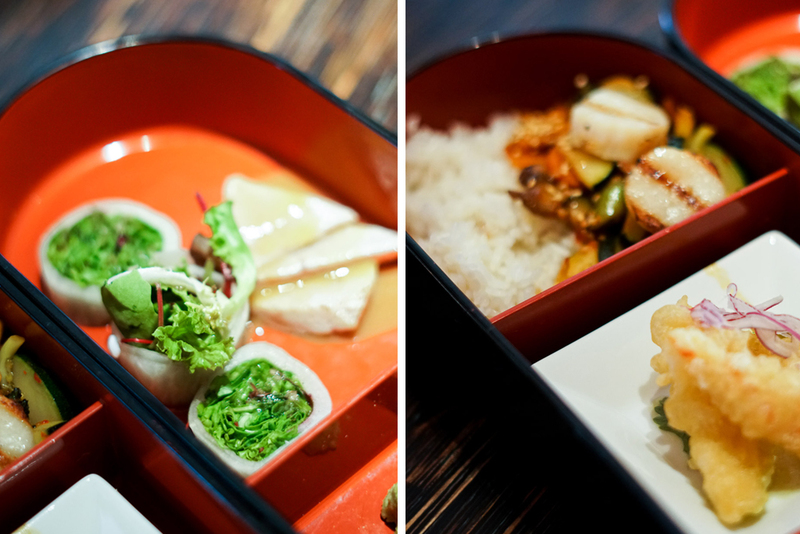 The Bento Box presentation is thoughtful and beautiful. Separating hot and cold dishes, each item has it’s own compartment. It is difficult to say which was my favorite item because each had its own distinct flavor. With every bite I exclaimed, “Wow, this is SO good.” The Wagyu was super tender, the spicy scallops just melted in my mouth, and the Toro was one of the best I’ve had. 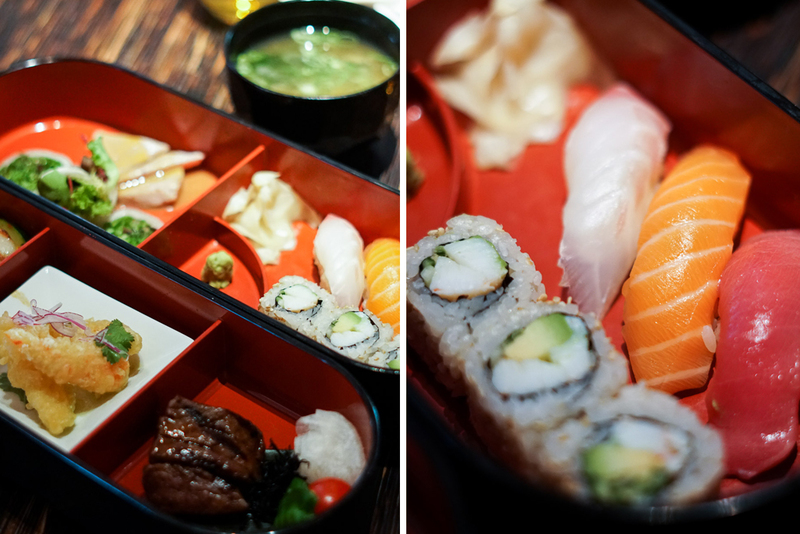 While the portions appeared small, I was surprisingly full after devouring the entire contents of my Bento Box. Despite my bursting belly, there’s always room for dessert. We were indecisive on what to order so the waitress (bless her heart), suggested the kitchen prepare something that would be a mix of a few desserts and fruits to surprise us. And boy, were we surprised. Again, the presentation nearly knocked my socks off! 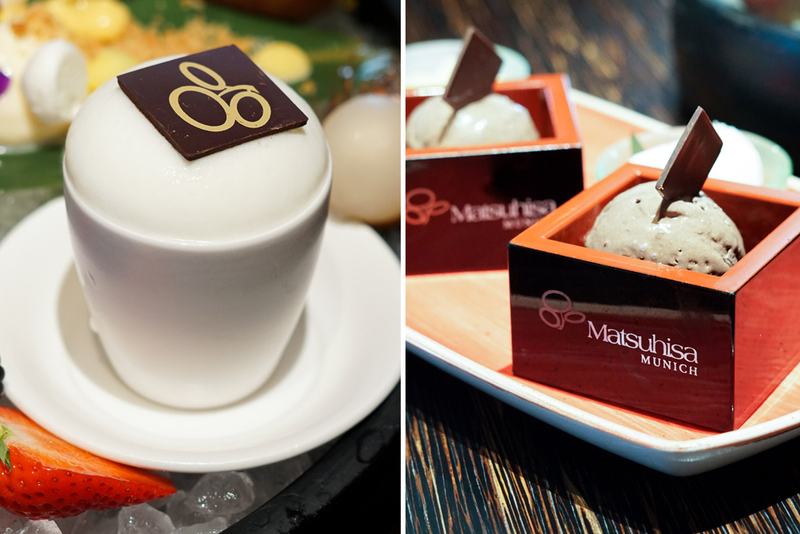 The delectable desserts from varying types of mocha ice cream to lychee and other exotic fruits, to Matsuhisa Cheesecake, to mango sorbet, and even Suntory Whiskey Cappuccino cups all on ice, was like heaven on earth to me. But more beautiful than the presentation was the service behind it. Our waitress was extremely attentive throughout our entire meal, filling our water when we ran low and asking us if we needed anything at various times. She was very knowledgable about the menu and recommended the Deluxe Bento boxes which we thoroughly enjoyed. The food was served promptly and the quality of the sushi was top notch. 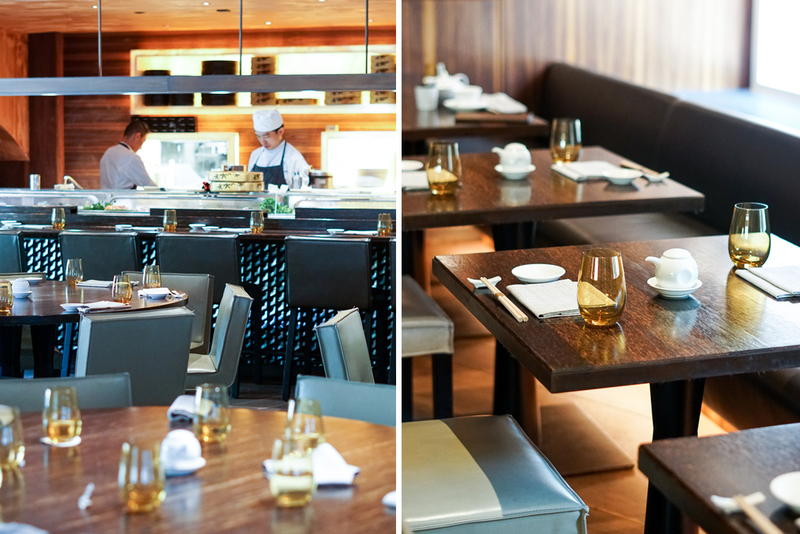 Matsuhisa Munich lives up to the Nobu name with its impeccable dishes combining the rich Japanese-Peruvian flavors. It was nice to enjoy quality sushi in Munich with first class service at one of my favorite chef’s restaurants. Not only is Matsuhisa itself beautiful and enjoyable, the backdrop of the Mandarin Oriental Munich hotel serves as an added luxury and exquisite dining experience. Wow, I am a fan of Nobu restaurants too and how amazing that they have one in Munich as well so that you could enjoy great Japanese food. The menu looks similar to what we have in the States and I am surprised at the special dessert platter you got! 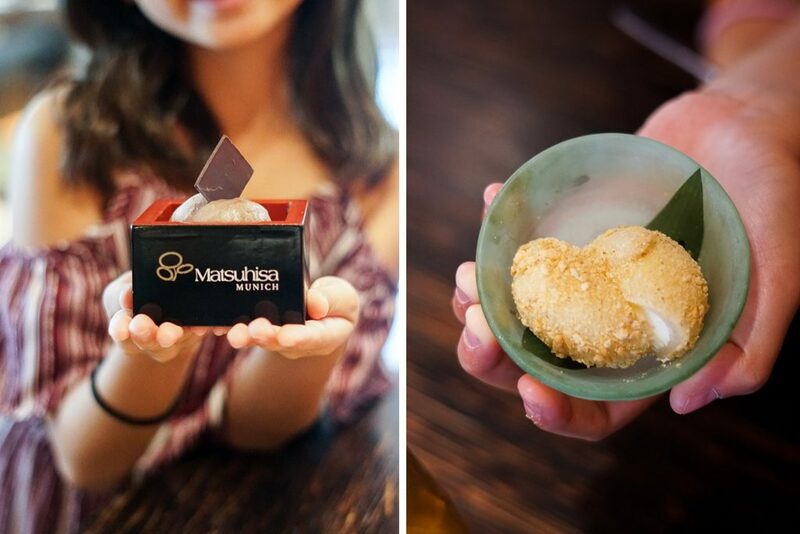 How lucky for your kids to enjoy the Matsuhisa experience! The restaurant looks beautiful and love the modern decor. Wowww, everything looks sooo delicious! <3 🙂 I'm such a big fan of Japanese food – it's the best! Thanks so much for sharing this great restaurant recommendation! And all of these great photos are making my mouth water! The food looked amazing!!! We’ve been to Nobu a few times in different cities but have never tried Matsuhisa yet. Now I’m definitely curious and will find one to try and if I ever make it to Munich, I’ll have to try this one! Our family loves Japanese food and I love how there’s a mix of cooked and raw choices bc one of my boys won’t eat raw sushi. Thanks for the wonderful review. Looked amazing. The food looks amazing! Now I am so hungry! What a gorgeous place. Food looks really amazing! Nice photos dear. I remember eating at Nobu for my birthday and it was a delicious experience! 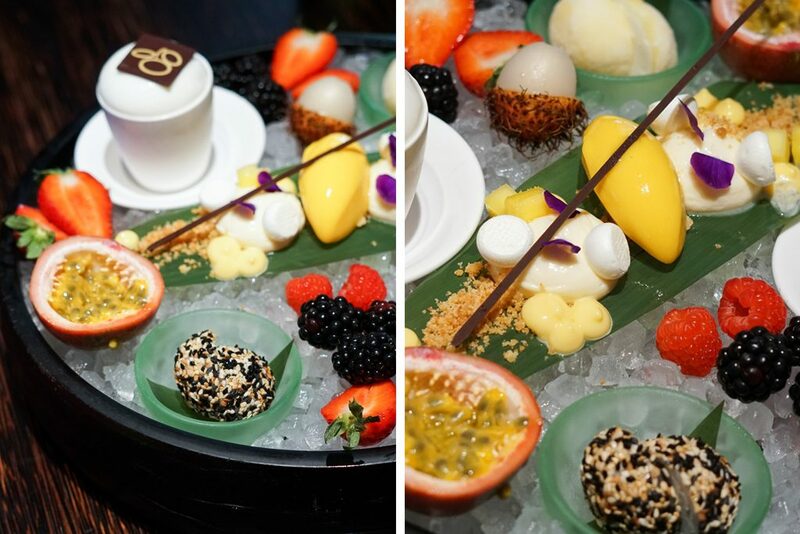 The dessert platter looks absolutely gorgeous and tasty at Matsuhisa I wish I could eat it through the screen! I didn’t expect to see a Matsuhisa in Munich and when I saw your stories and post on this, I was surprised! Everything looks up to Nobu standards and it is great that you were able to get quality sushi while you were traveling. The bento boxes look so delicious and I can’t believe that amazing dessert platter! What a treat! omggggg girl you are making me so hungry and craving for asian food more than ever LOL seriously palm springs needs to up their asian food game D: it’s amazing that munich has such a great selection of food, and i’m impressed you were able to get good sushi in here! 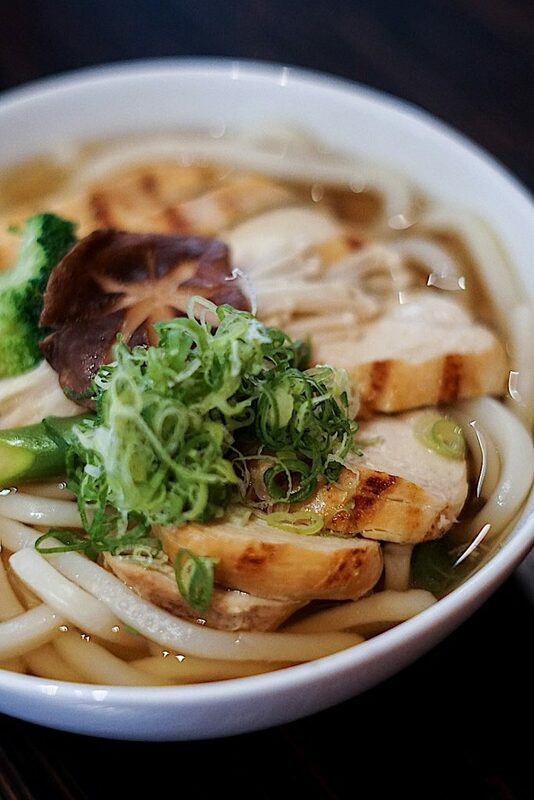 that udon bowl is calling my name… hahahaha. The food looks amazing at Matsuhisa Munich. Especially those desert dishes. Omg making me drooling all over my key board. I have visited many cities in Germany but I haven’t visited Munich. I’ve great things about the city and it’s definitely next on my list to visit. Such a beautiful restaurant and everything else including the food looks spectacular! Amazing.I hope I get to that place where I can travel and go to such restaurants.The food looks great, I’ve never tried such lol.I also gave you a shoutout on my latest post.I hope it’s ok.You might want to check that out too.